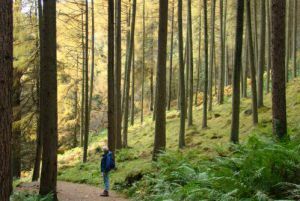 The Sustainable Scotland Network (SSN) has recently developed a toolkit to help support public sector organisations looking to develop a sustainable timber policy or strategy, or requiring sustainable timber or any other forest product criteria in tenders for a new contract. The toolkit includes sample policy wording, tender questions, a contract monitoring spread sheet and a number of case studies. As part of this, SSN worked with staff at Falkirk Council to produce a short film about their experiences. SSN works with the public sector in Scotland to support action on sustainable development, including programmes on climate change and sustainable procurement. Since 2011, it has worked in partnership with WWF-UK on its “What Wood You Choose?” campaign to raise awareness of the economic, social and environmental consequences of purchasing illegal or unsustainable forest products, ranging from construction timber to paper.